It’s hard to even bring up the topic of infectious disease without instantly thinking of antibiotics. When patients roll in with a fever, they more often than not roll out with something that ends in “cillin, mycin, or floxacin,” whether the culprit is bacterial or not, and that’s paved the way for superbugs, such as MRSA and VRE, to enter the scene, meaning the golden age of antibiotics has passed us by. But what if we could turn one of the must abundant elements on earth, moreover, part of the very air we breathe, into a weapon against infectious disease? This is ReachMD, and I’m Dr. Matt Birnholz. Joining me is Dr. Peng Zhang, Associate Professor of Chemistry at the University of Cincinnati and the Principal Investigator of a study looking at Weaponized Oxygen as a New Therapy for Superbugs. Dr. Zhang, welcome to the program. My pleasure. Thank you, Dr. Birnholz. So, Dr. Zhang, let me put the first question out there that I’m sure is on all of our minds, which is: How and why oxygen, of all things? Well, first of all, oxygen is a very common molecule. As you indicated, it is abundant and it is something that almost everyone knows about. Now, what is not very obvious to a lot of people is that oxygen has different forms. The one that we are all aware of and that we breathe on a daily basis, anytime, every time, is the stable form. There are other forms that are more reactive, and these forms of oxygen are something we call reactive oxygen species. Now, these forms of oxygen usually are very reactive and they have a relatively short lifetime. Now, if we can generate the so-called reactive oxygen species and take advantage of the fact that they are reactive to other species in their neighborhood, in their surroundings, then we can try to make them into a weapon against something that we don’t want. So, in this case, if we try to get rid of bacteria, or to kill bacteria, we can try to create these reactive oxygen species in the surrounding of the bacteria, and then that reactive oxygen species attack the bacteria. Interesting. And how does one go about creating reactive oxygen species? So, there is more than one way of creating oxygen species, and one of the common ones that people are probably using it already is you can use peroxide. That is something that we can use. It’s in a grocery store. Those are able to chemically generate our reactive oxygen species, and they can have the anti-infectious effect. They can kill bacteria. In our study we use a slightly different way of creating oxygen species. We use the light and combine it with some chemicals, so-called photo-drugs, or photosensitizers to be more precise. The combination of these chemicals and the light would allow the regular oxygen species in the surrounding of these molecules to be converted into reactive oxygen species, and then, while the oxygen species is still reactive, we try to bring them close to the bacteria, and then they will attack the bacteria and successfully kill them. I see. And I’m going to want to ask you a little bit more, dive more into detail about that interaction between light and the photosensitizers. But first, if we talk about that conversion from oxygen as a stable form into a reactive oxygen species, how then does it attack bacteria, specifically? Now, this kind of study has been going on for quite some time now, for decades now, and it has been widely accepted that these mechanisms are multifold, so the reactive oxygen species would attack the bacteria membrane, lipids, proteins, and DNA, etc. It is not just 1 target. So, for this reason, it is very difficult for bacteria to develop a resistance toward reactive oxygen species because it is a multipoint attack, too much for bacteria to defend against. Right. And I imagine, what comes to mind for some of us in the clinical realm is if something is too much for a bacterial cell to handle, perhaps it might be too much for adjacent human cells to handle as well. Is there a danger in releasing reactive oxygen species to nearby tissues, not to mention other bacteria, such as the flora in our GI tracts that we might want to maintain? Yes and no. In one sense, yes. The killing, the reactive oxygen species would have broad-spectrum killing, so they would attack any bacteria in the surrounding. In that sense, it may potentially cause the die effect to the normal bacteria. However, keep in mind that this mode of action requires light, so it will be a combination of light and the photosensitizer. If we can control where the light reaches, then you can control where the photoinactivation would occur. So, in your case, as you mentioned, the GI tract, if we do not bring the light in the GI tract, then nothing would happen to those bacteria. This is a quite different mode of action compared to antibiotics. For antibiotics, it is a systemic killing, so you’re bringing through the body, either the blood or through the GI tract, and anywhere these antibiotics would go to they would kill. But in our case, in the photodynamic treatment, you only rely on reactive oxygen species, and that would allow you to have more control to where you want to kill. And I imagine then that there must be another obstacle to work through, which is that challenge of penetrating aquatic environments where lots of microorganisms might live in vivo but photosensitizers might not easily be able to penetrate. Is that a current obstacle in trying to think ahead in the clinical realm? Certainly, that is one that we need to overcome as we move towards the clinical application of these kinds of treatments. There are different ways people are trying to address this. In our most recent work, we’re trying to improve this. We combine the photoactive molecules into a nanoparticle form, and so the nanoparticle would concentrate these, and then you bring out these photoactive molecules into where you want to reach, and then on the nanoparticle surface, you can try to functionalize or modify appropriately so that it can have better penetration through the aquatic environment, and it would also maintain its stability in this environment, and so this is one approach that we are following to try to address this barrier and challenge. And there might be other approaches, and this is an actively being studied field that we are expecting to see progress being made over time. Well, for those just tuning in, this is ReachMD, and I’m Dr. Matt Birnholz. I’m speaking with Dr. Peng Zhang on his research team’s development of a new approach to combat antibiotic-resistant bacteria. So, Dr. Zhang, let’s talk a little bit more about the implications of your findings. And first, I want to consider other potential clinical uses for reactive oxygen species. What comes to mind first is, perhaps, targeting cancers. Can you tell us a little bit about that? Yes. Now, this kind of treatment method has been applied to target cancer for many years too, and there has been some success. At this point, to my understanding, there is at least 1 FDA approval for skin cancer treatment using similar type of method, which is we call photodynamic therapy. Now, as you recall that I mentioned, these kind of treatments require 2 things: the photosensitizers and the light. For the surface cancer, skin cancer, light can be easily reached, so that is not an issue; however, for many of the cancers that are deep-seated inside tissues, there will be a challenge to bring light to reach those tumors, and that is the major barrier for these types of treatment to be widely applied in the cancer treatment. And it is something that a lot of researchers are trying to find new ways to make progress, but it is an ongoing field, and we expect that there will be more progress being made in the coming years. Do you think a technology to implant some sort of light beacon would be needed, perhaps seated into localized areas, or is this something that would be delivered by another mechanism to be able to generate light internally? Well, both have been reported, although at the research level, not at the clinical level, and so the challenge, in my opinion, involves you will have to deliver those photosensitizers to the tumor site, and then you have to bring the light to the tumor site, so you basically have to deliver 2 things to reach the target region. This is probably not as trivial as one would like, so there are different ways people are trying to go about this. Maybe you can use some fiber optics to bring the light to the site. That is one way to do it. You may also think about trying to generate light inside locally, but that would involve introducing a source, that would allow you to generate the light, and so, again, that would make things even more complicated. There are different approaches, but none of them have been well-established yet, and so this is an ongoing field of research. Right. And I imagine, if we come back to the infectious disease realm, trying to think through the mechanism to generate light for our patient who has a systemic infection, such as someone who’s become septic, that must be a particular challenge because you would have to essentially find a way of lighting up the entire vascular system. That is exactly right. So, at this point, for the infection treatment, this mode of treatment is probably more appropriate for topical infection treatment including the wound treatment, but anything that involves into the body and inside the tissue, vascular delivery, that would make things complicated, and so far, I haven’t seen people successfully carry out that kind of research. Well then why don’t we consider the closest target to application, that being more topical uses for this on the infectious disease side? What do you think will be the next steps for transitioning this therapeutic approach out of the laboratory and into clinical practice down the road? Well, the way I see it, the first thing we need to do is to test our treatment module on to animals. We can start from small animal and then transition into larger animal, closer to human, and then we’re going to test that on humans so that we can fulfill the requirement of the FDA requirement. And then, if we can successfully meet the requirement imposed by the FDA, then we can move forward to the marketplace. And as far as the marketplace goes, do you think, just speculatively in where you are now and where you envision this research going, do you think this is going to be a pretty high-cost of entry, or are there any other obstacles that will need to be tackled before this type of treatment approach could ever be ready for primetime? Well, that has been something we have bear in mind [sic] when we first started, so we tried to improve the efficiency of our materials so that they do not incur a very high cost; especially if we get to the mass scale where we can produce large amount, the cost will not be significant. The other component of this treatment is the light source. We first started with a pretty bulky and relatively expensive light source. We have improved in that regard, and now we are able to use a palm-sized LED that can be used as a light source. It is very inexpensive, and you can have a light source, you can use it, re-use it, for a long period of time. All you need is to have the material and that can be used as disposable, and then every time you want to use it you just replace the material. You can re-use the light source. So, in that sense, the overall cost is not going to be a big factor. Well, Dr. Zhang, it’s exciting stuff, to put it mildly. But any other takeaway thoughts or plans looking ahead over the next few years on your behalf for introducing this treatment down the road? Well, as I said, we’re just moving forward, step-by-step. So we have these techniques developed, we have a patent approved this past summer, and now we are moving forward to go with the animal testing, and then, again, go through all these regulatory compliance. That is what I expect in the next 3, 4 years that we are going to move toward so that we can really translate this technology out of the lab and into the marketplace or clinical practice. Well, we definitely hope to have you back on again to monitor each step of this process, because clearly, with the rise of antibiotic resistance across the entire world, investigations like yours are absolutely crucial. So, Dr. Zhang, I very much want to thank you for sharing these updates on this new potential player in the treatment space against superbugs. It was fantastic having you on the program. Thank you. Thank you for the opportunity to share with you some of our progress of our research, and I appreciate you. I’m Dr. Matt Birnholz. 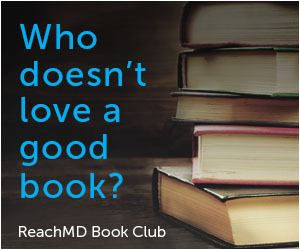 To access this and other episodes, visit ReachMD.com where you can Be Part of the Knowledge. Thanks for listening. Have superbugs met their match on the battlefield of infectious diseases? Or is it still just up in the air? Oxygen: It's the third most abundant element in our universe. 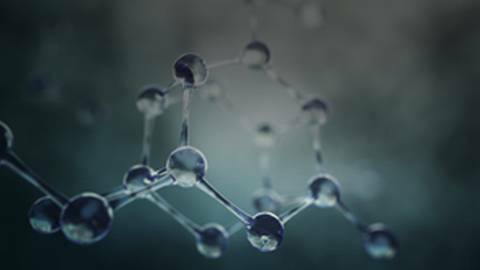 From healthcare to industrial needs, we know oxygen's uses to be far-reaching, but could there still be more therapeutic potential yet? In an in-depth conversation with Dr. Matt Birnholz, Dr. Pang Zheng presents new evidence of oxygen's potential uses within the healthcare industry.